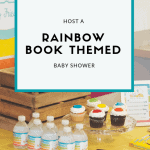 Tis the season for weddings and babies! 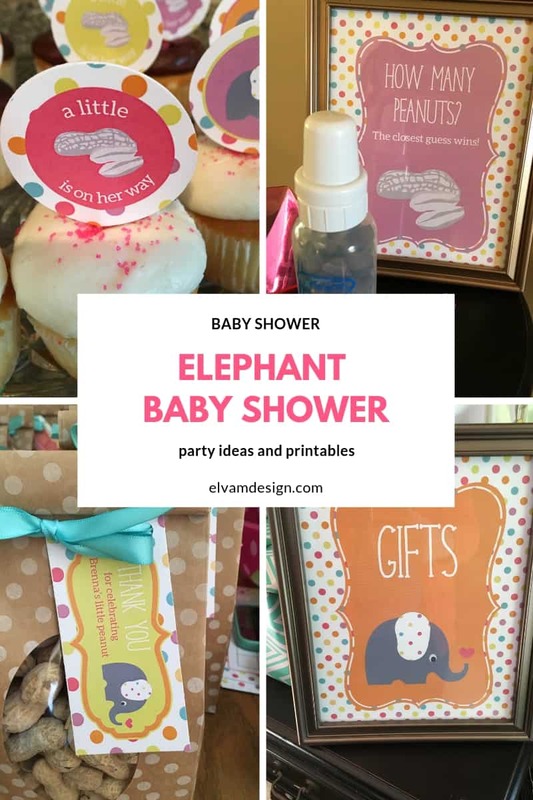 A few weeks back I went to a baby shower for a dear friend from high school. She’s expecting her first little peanut, a girl, in May. 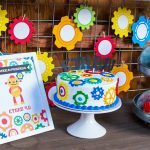 A few friends hosted and threw a lovely party, and I jumped at the chance to offer some DIY decorations. 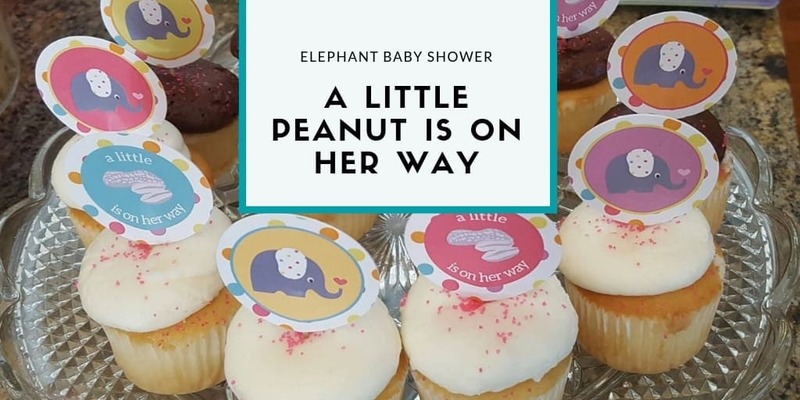 They had planned to do an elephant / peanut theme, and I brightened it up by incorporating bright polka dots and called it “A little peanut is on her way.” It turned out great! 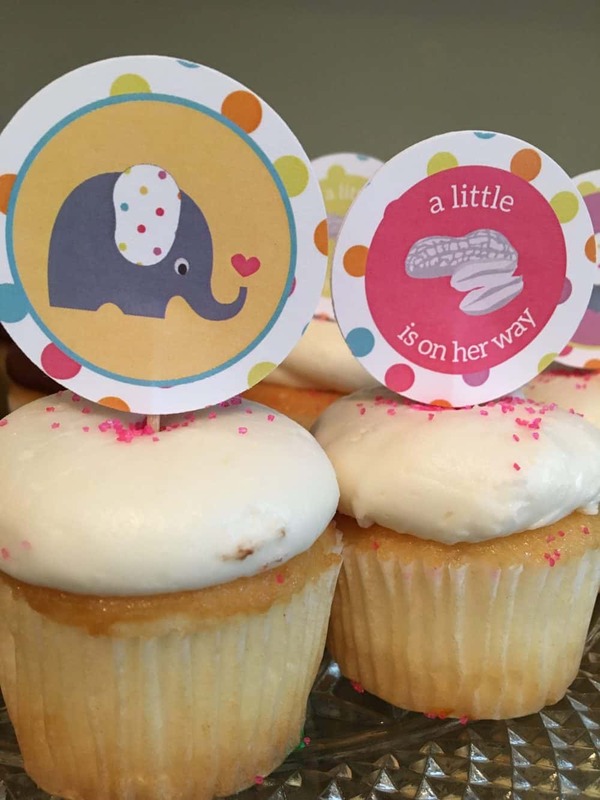 I am in love with how how the cupcake toppers turned out. The little peanut makes me lol. 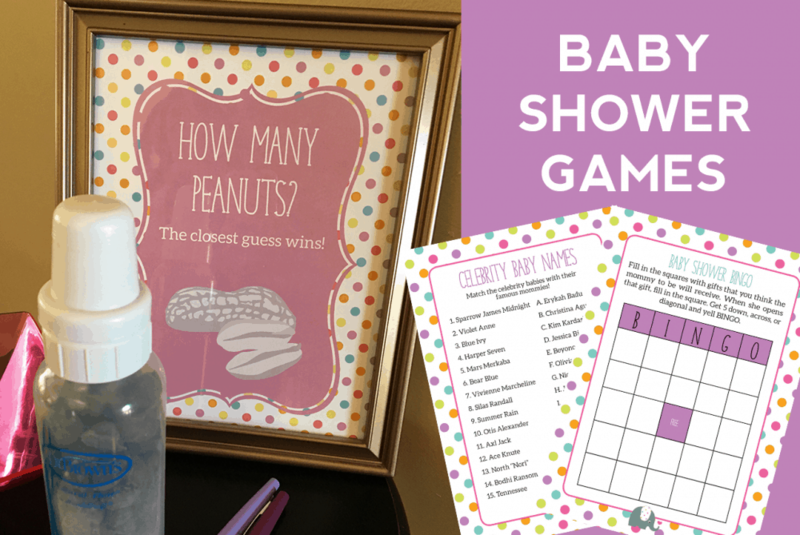 One of the games we played involved guessing how many chocolate covered peanuts were in the baby bottle. 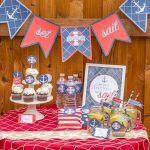 I made signs and little guessing cards. 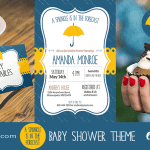 The Mom-to-be loves movie and celebrity trivia, so we played Celebrity Baby Names. She got 100%! You can get the full set of decorations in my Etsy Shop. 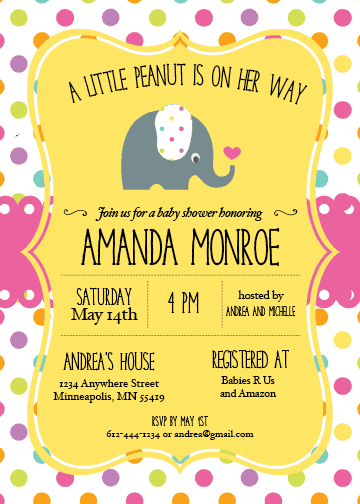 And while the hostesses chose to use an e-vite for this particular party, of course I put together not one but two color options for the invitation, available in pink and yellow. Guests were sent home with bags of peanuts. 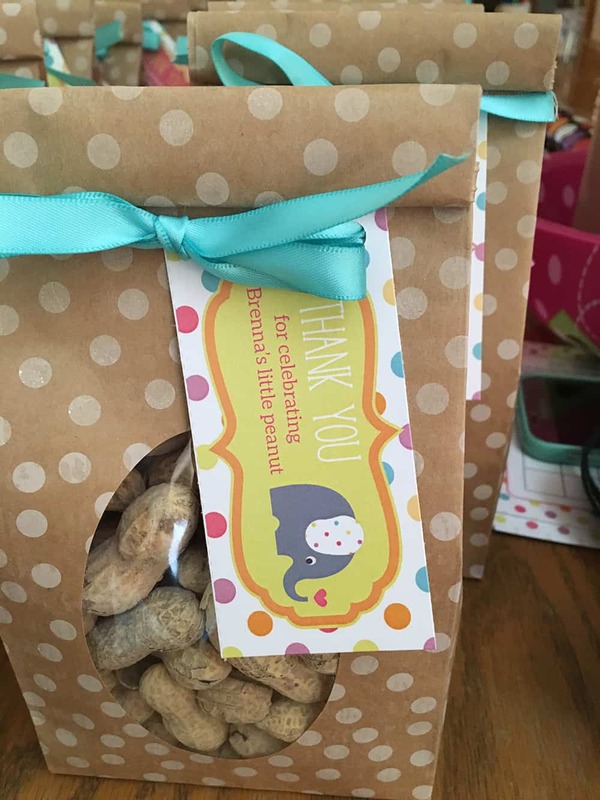 It’s a good idea to have some non-peanut favors for any guests with allergies. 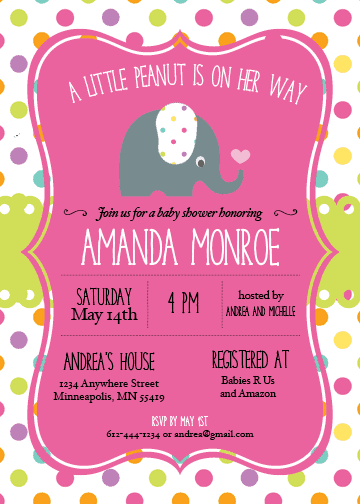 What do you think of this “A little peanut is on her way” elephant baby shower theme?